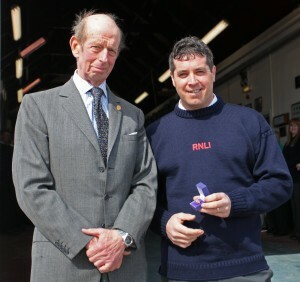 Royal National Lifeboat Institution (RNLI) president HRH The Duke of Kent visited several of the charity’s lifeboat stations in Northumberland on Tuesday 6 and Wednesday 7 May.  His Royal Highness visited the RNLI stations at Blyth and Newbiggin yesterday (6 May) and Craster and Berwick-upon-Tweed RNLI today (7 May). 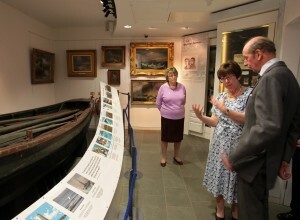 He also had a tour of the RNLI Grace Darling Museum in Bamburgh and managed to fit in an unscheduled visit to Seahouses RNLI. 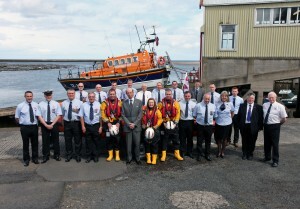 In his role as RNLI president, The Duke of Kent makes annual visits to a selection of RNLI stations. 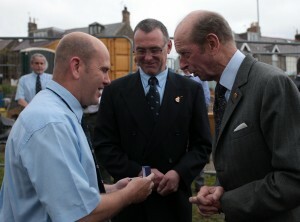 During his time in Northumberland, the Duke met volunteer crew and fundraisers and learned more about their vital work. He also received a ‘behind the scenes’ tour of each boathouse and viewed the lifeboats. 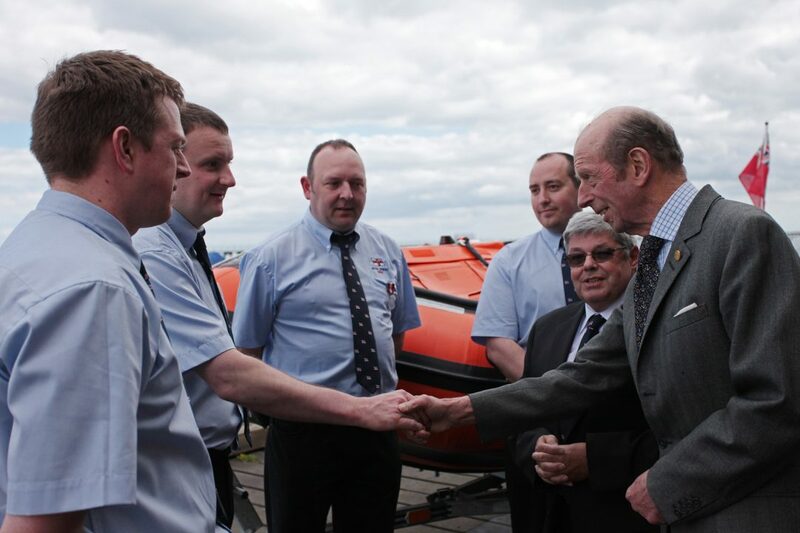 At Seahouses, The Duke witnessed the volunteer crew in action after they were called out to help a kitesurfer in difficulty. 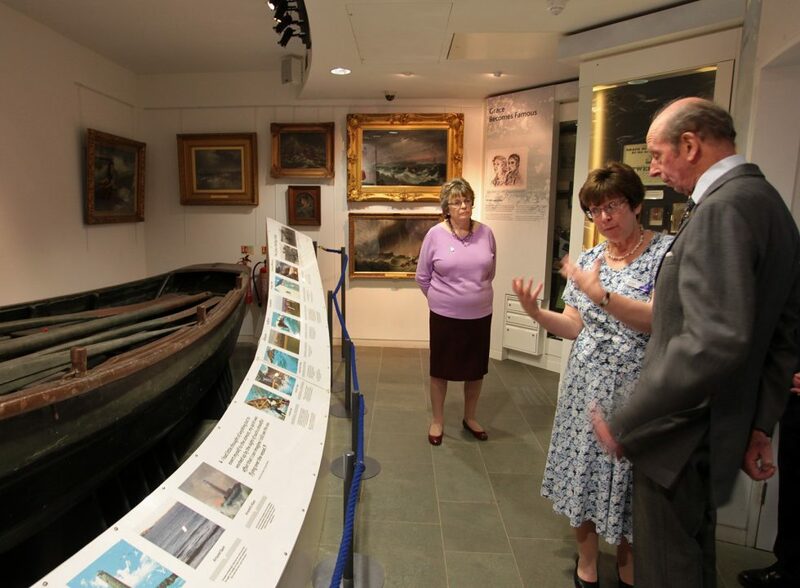 During his visit to the RNLI Grace Darling Museum he chatted to the volunteers who keep it open to the public throughout the year. His Royal Highness presented several RNLI awards during his visits. 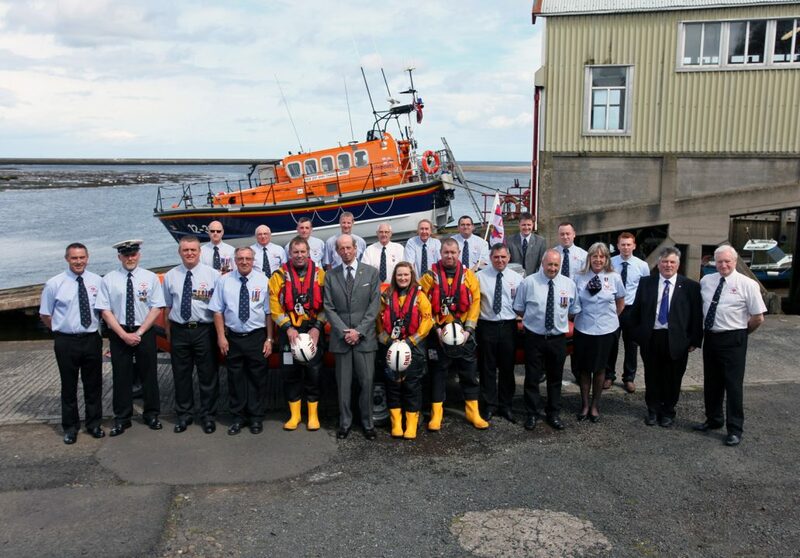 Martin Browell, volunteer Helmsman at Craster RNLI, received an award for twenty years of dedicated service to the charity that saves lives at sea, as did Paul Armstrong, volunteer Helmsman at Newbiggin RNLI. 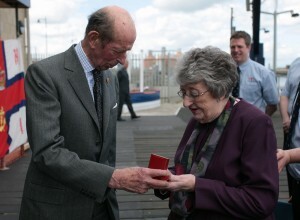 Awards were also presented to Joyce Ross from Berwick-upon-Tweed RNLI guild and Elsie Holgeth from Blyth RNLI guild. Joyce received a silver badge for more than 14 years of tireless fundraising and support of the RNLI. 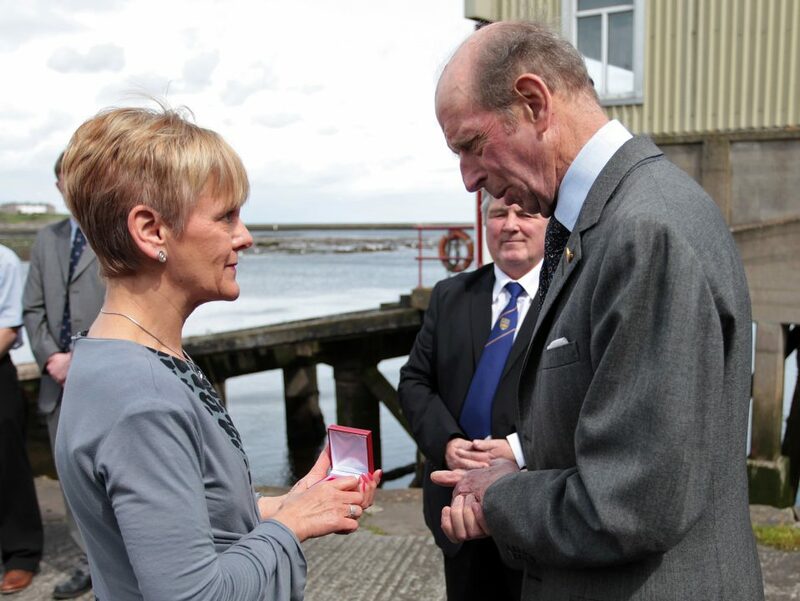 Elsie was presented with a gold badge in recognition of her unwavering dedication and energy to fundraising, which has seen her raise thousands of pounds for the charity since joining the guild in 1977. Andy Clift, RNLI Regional Operations Manager, said: ‘His Royal Highness The Duke of Kent took a real interest in each volunteer and their individual roles within the charity. It meant a great deal for them to be able to meet him.